Big cities around the world boast impressive buildings and structures attracting many tourists eager to visit and experience the cities. Many like New York City also attracted (and continue to) immigrants who dreamed of opportunity. But there were others who would prey on the starry eyed and unsuspecting immigrants and tourists- con artists. Men like George Parker and Victor Lustig would become famous for “selling” famous city structures for upwards of $100,000. Here are some of those famous landmark scams spanning from New York, to Paris, and London. 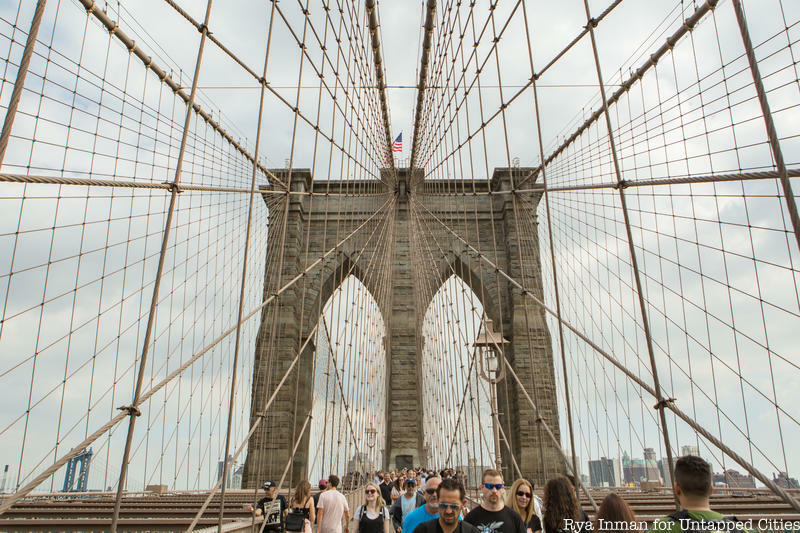 You might not be surprised to know that the Brooklyn Bridge, an iconic New York City structure, has been “sold” more than once by many con men since completed in 1883. One of the most famous of these con men was George C. Parker who would swindle people into “buying” the bridge at least two times a week for years. Parker would prey on unsuspecting tourists, offering to let them build a fake tollbooth where they could collect all the tolls for themselves. Parker would usually ask for anywhere between $50 to $50,000. Some people even started to build their own tollbooths on the bridge before the police had to tell them what had happened to them. Eventually his work caught up with him, earned him three counts of fraud. The third time landed him in Sing Sing Prison for eight years where he died in 1936. But his antics live on in the famous American slogan: “If you believe that, then I have a bridge to sell you. Parker wasn’t the only one who “sold” the famous landmark. Many other con artists would do the same, swindling poor passerby’s. Another notable seller was William McCloudy, a.k.a. “I.O.U O’Brien” who sold the bridge in 1901. For the sale, he was convicted of grand larceny and served two and half years in Sing Sing. For more, check the Top 10 Secrets of the Brooklyn Bridge and join our Secrets of the Brooklyn Bridge Walking Tour!